The Roger Dean cover certainly makes a listener expect some old-school progressive rock. In many ways this lives up to that promise, but it goes further than that. There’s a sense of darkness and mystery to a lot of this music that’s not present in old progressive rock. It also features a lot of symphonic element that wasn’t extremely common (but not unheard of) in 1970s progressive rock. 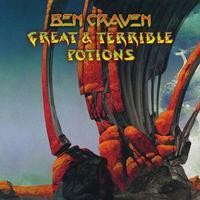 It’s a safe bet that this disc (truly a solo project from Craven) will please old-school prog fans. It should also ring true with fans of neo-prog, though. It’s a great disc that brings old prog traditions into the modern world. 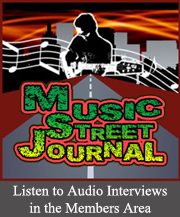 This review is available in book format (hardcover and paperback) in Music Street Journal: 2011 Volume 5 at lulu.com/strangesound. A creaking door or fence opens this and then footprints are heard. The music that ensues calls to mind the soundtrack to “Halloween.” It builds out from there, but remains spooky and ominous. It launches out into a more powered up rocking jam, but those same hints of horror remain. Still, it becomes a powerful progressive rock jam with some serious fusion on display as it continues. A noisy crescendo segues into the next piece. Imagine the kind of creepy bombast presented on Alice Cooper’s “Welcome to My Nightmare” album delivered with some real progressive rock added to the mix. Even the vocals here seem to have a bit of a Cooper feeling, but with more real prog added onto them. This is powerful, a bit spooky and quite magical. After the last cut crescendos, ambient sounds start this instrumental. It gradually builds with non-lyrical vocals and textural musical elements bringing a real movie soundtrack feeling to this. It has less ominous sounds than the stuff thus far, but there is a sense of mystery. As the guitar starts to solo this feels closer to something from Pink Floyd. Beginning with a guitar and vocal arrangement, this powers out after a time into some progressive rock that’s a bit like Emerson, Lake and Palmer meets Kansas and Pink Floyd. It’s accessible, but very progressive rock oriented. There’s some smoking hot guitar soloing later that leads into a killer instrumental movement. It drops back to its beginnings to end. Piano begins this one and holds it for a time, building up in intricacy and power. There’s a definite jazzy feeling to it. A little before the minute mark other instruments join and the track feels quite Pink Floyd-like for a time. That Pink Floyd element remains as this progresses, but it’s joined by other things like fusion, Kansas and Spock’s Beard and even Genesis. This is a powerful and pretty instrumental that works extremely well. It drops back to just piano and space later to segue into the next piece. Dramatic and mysterious elements bring this one out. It grows upward as guitar screams out amidst this backdrop. There is definitely an ominous texture hanging in the air. A little before the minute mark it powers up to a full arrangement. It’s quite symphonic and very theatrical and dark. There are definite Eastern tones on hand. It drops back to a rather Latin sounding guitar motif as it continues, but the other musical elements remain around it. Then it rises back up with a lot of symphonic instrumentation on hand. Around the two and a half minute mark it shifts out to a real Eastern tinged jam that’s less ominous, but still very exotic. Then it modulates out to a vaguely dark and mysterious movement that’s more rock oriented. The vocals come in over the top of this bringing a bit of psychedelia to the table. It’s rather like mixing early Pink Floyd with a theatrical symphonic progressive rock sound. It drops down to ambience later in a sound that’s rather similar to Nox Arcana. It builds up to a false ending and then a new progressive rock jam ensues that’s laden with the Eastern tones. It’s brings us back to the earlier motifs. There’s some smoking hot guitar soloing later. At well over ten minutes in length, this is the epic of the set and it’s dynamic and powerful enough to earn that title. The guitar solos as the cut fades to noisy space. Acoustic guitar leads this one off and other instruments are added to turn it into a sedate and potent instrumental. It turns electric after the first minute or so and Pink Floyd references are valid at that point. The earlier tune is continued here, with some killer electric guitar rising to bring it in. This is just a short reprise to continue the themes. The title track comes in with piano and vocals creating a melody that’s rather like something from Phideaux. It builds out in very psychedelic fashion without adding any instrumentation. Comparisons to Spock’s Beard would also be warranted here. It becomes more dramatic and powerful during a piano solo. As other instruments are added, the early Pink Floyd references become clear again. After a time symphonic elements rise to bring both progressive rock and accessible pop music textures to the table. That moves towards more pure progressive rock with symphonic stylings in the instrumental section that follows. This starts to take on an almost Emerson, Lake and Palmer sort of bombast before resolving to hard edged mystery like combining Pink Floyd with Alice Cooper. Eventually that peaks and then it drops back to the earlier vocal sections of the cut. It builds back out from there. Here is a single version of the earlier track. And here we get another shortened cut. The disc closes with the final single rendition.